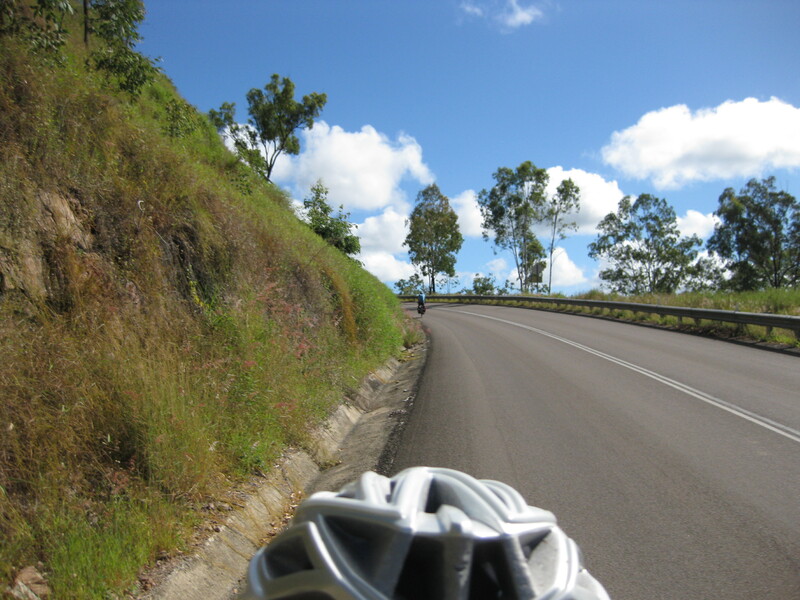 One big hill and lots of smaller ones. 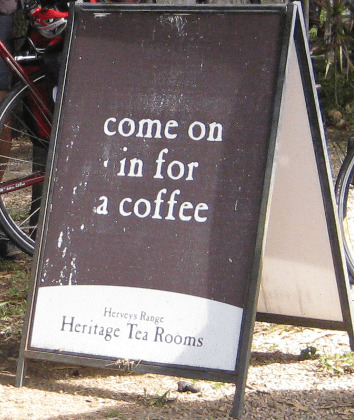 Heritage Tea Rooms were worth the visit at the top of the hill. 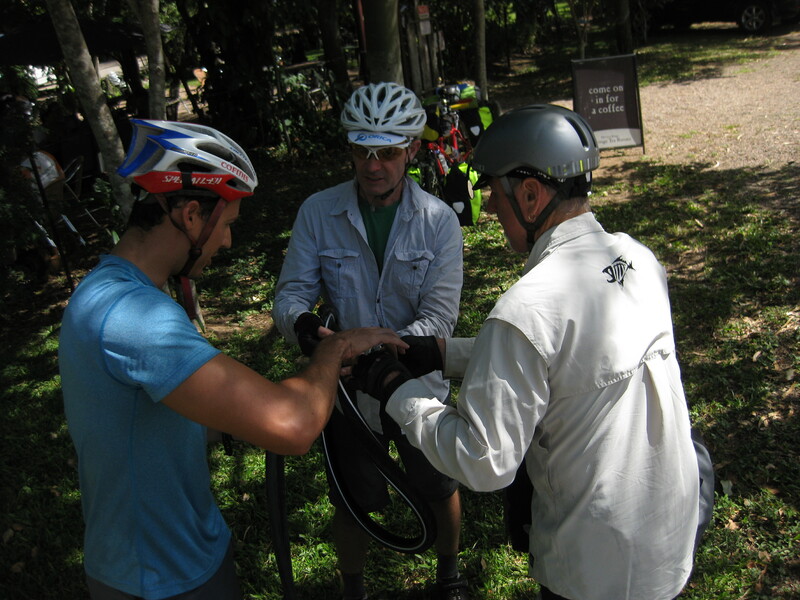 And one slow leak puncture…how many men does it take to change a tube anyway? 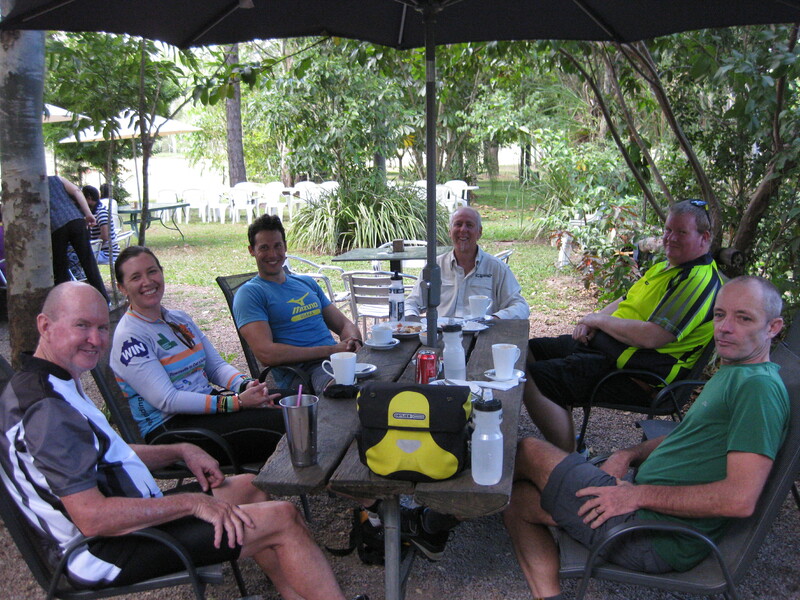 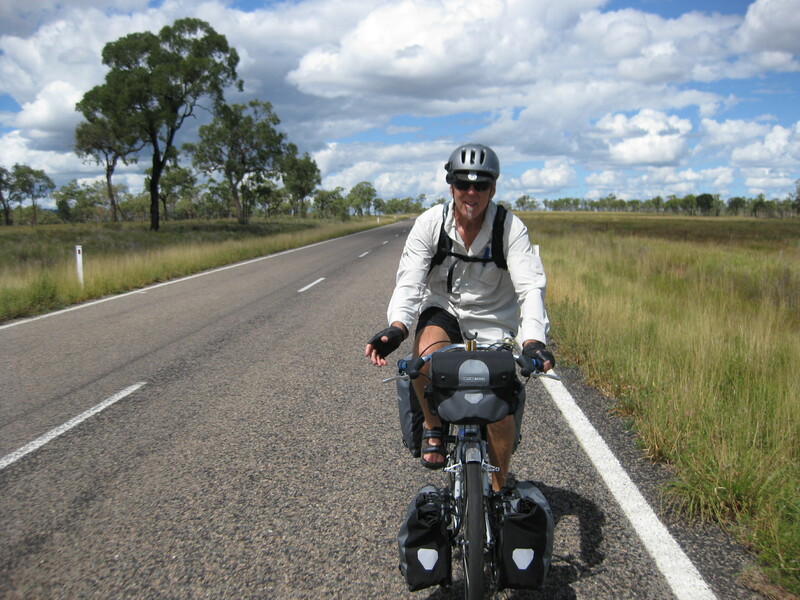 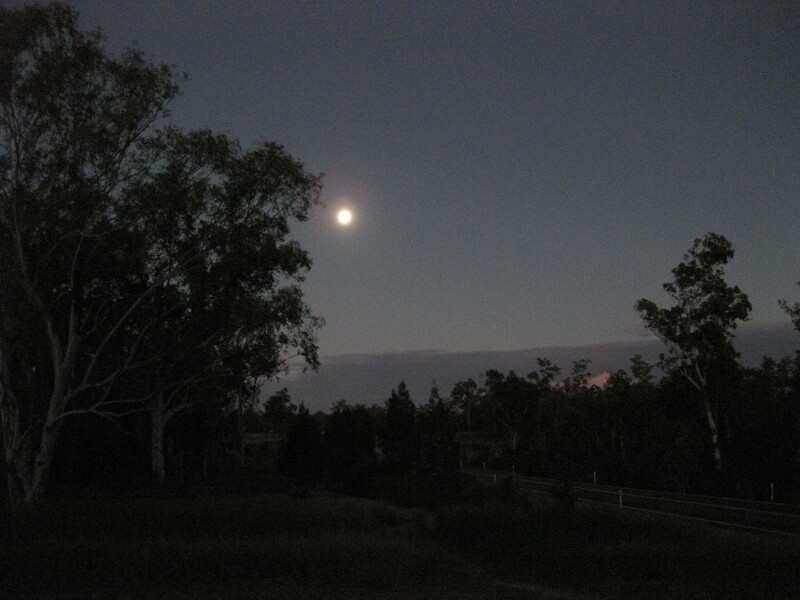 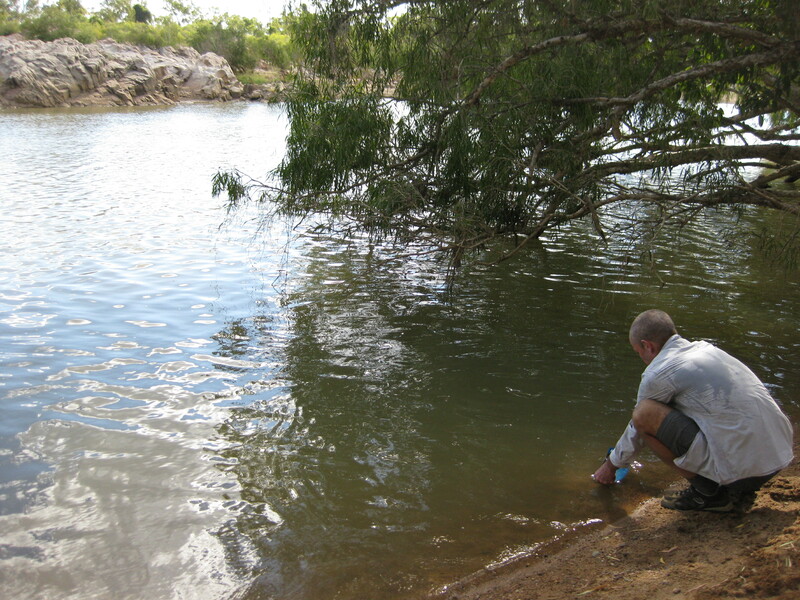 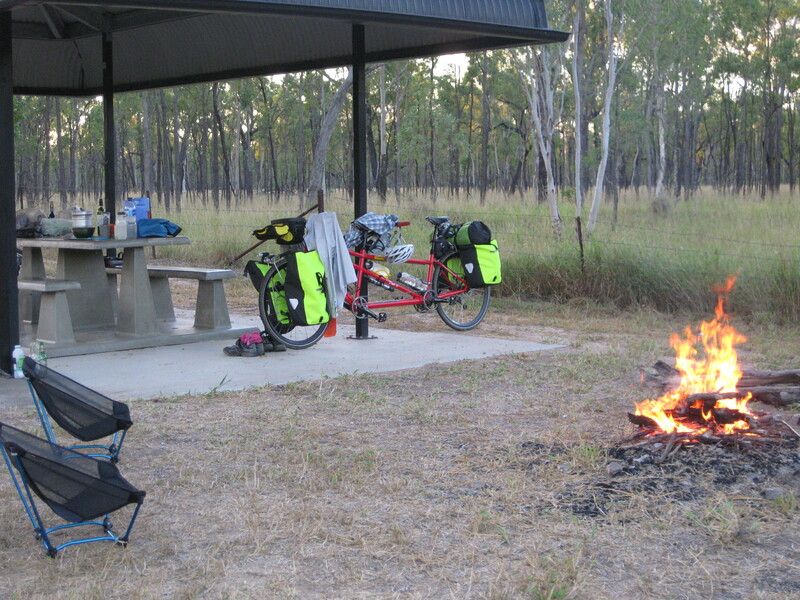 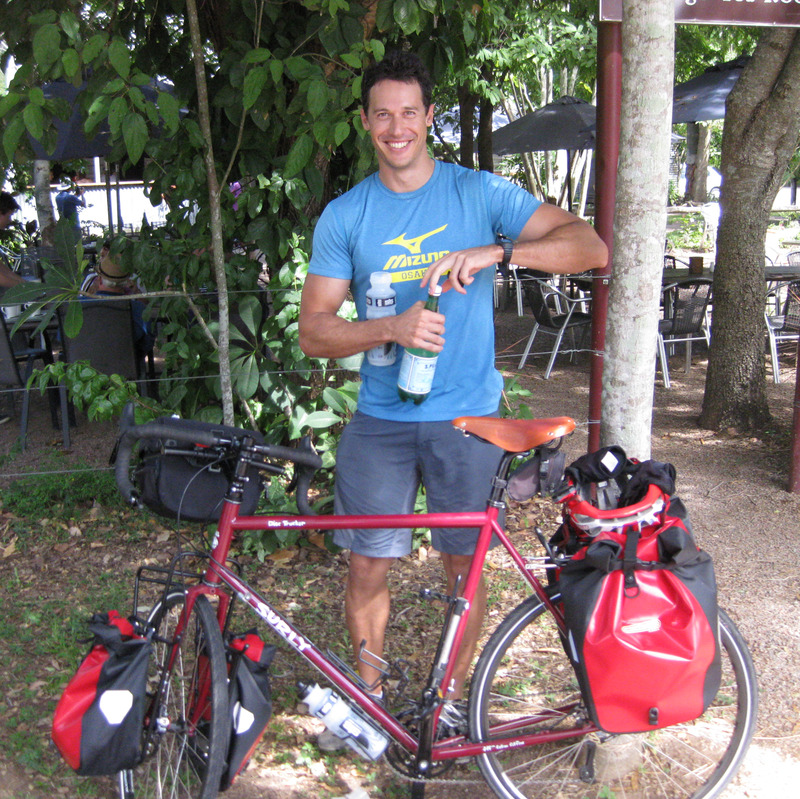 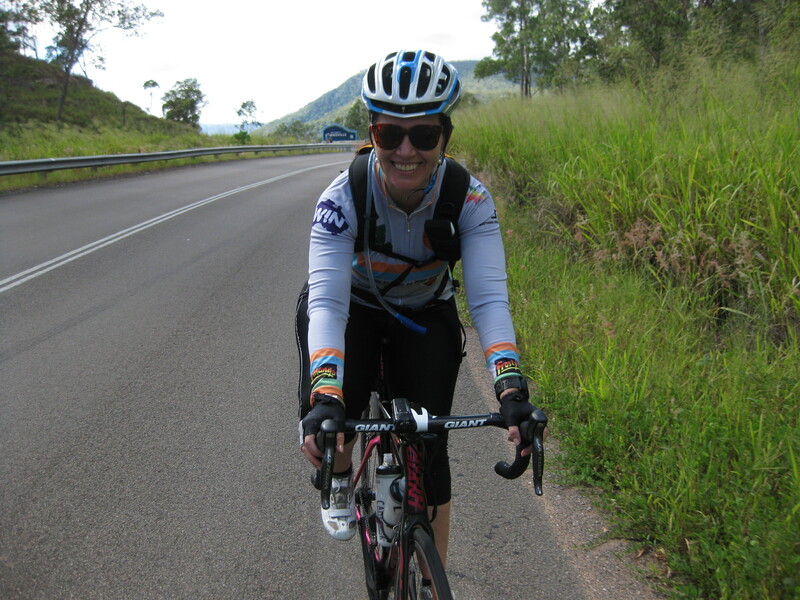 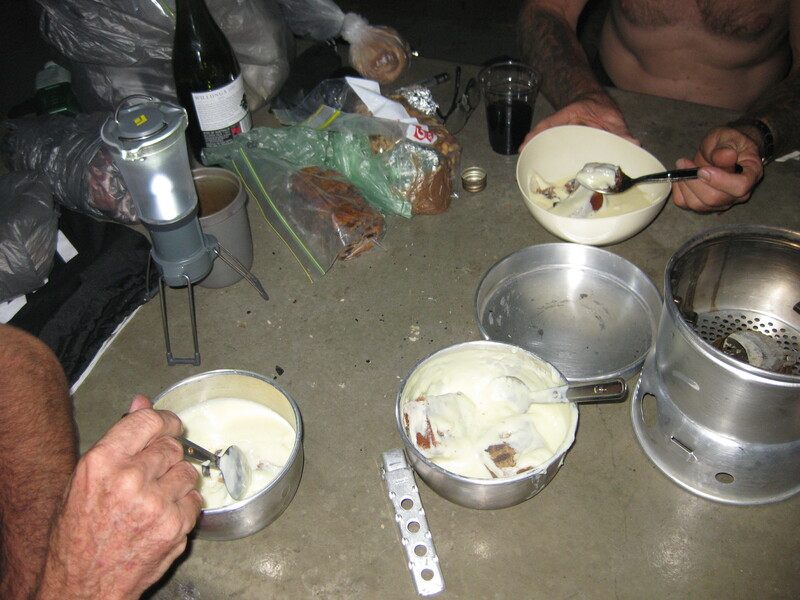 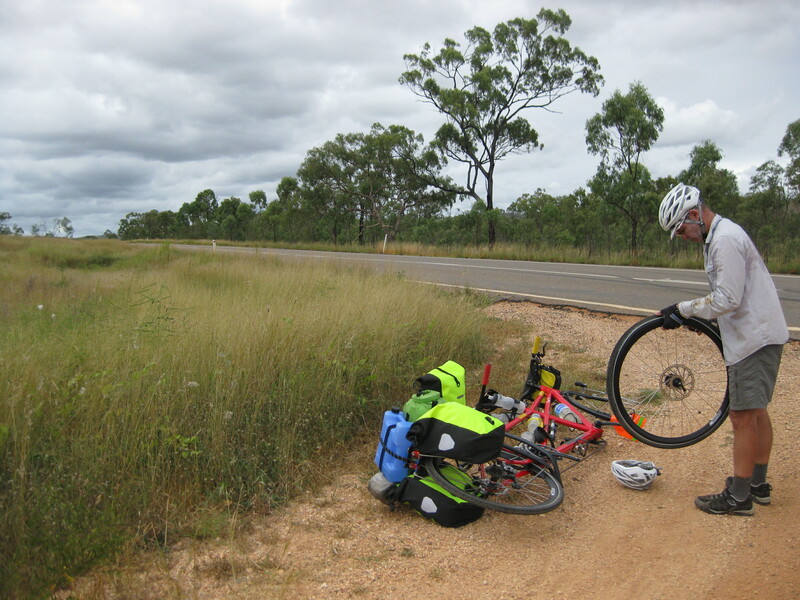 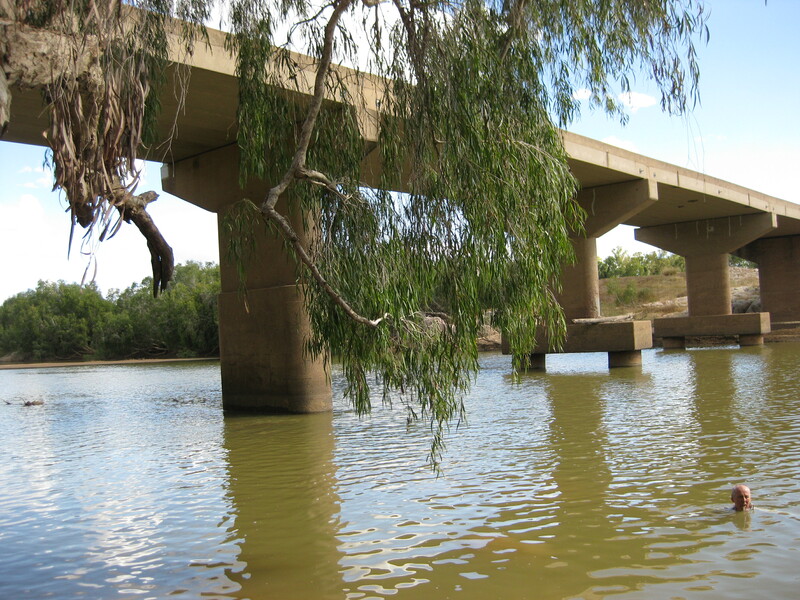 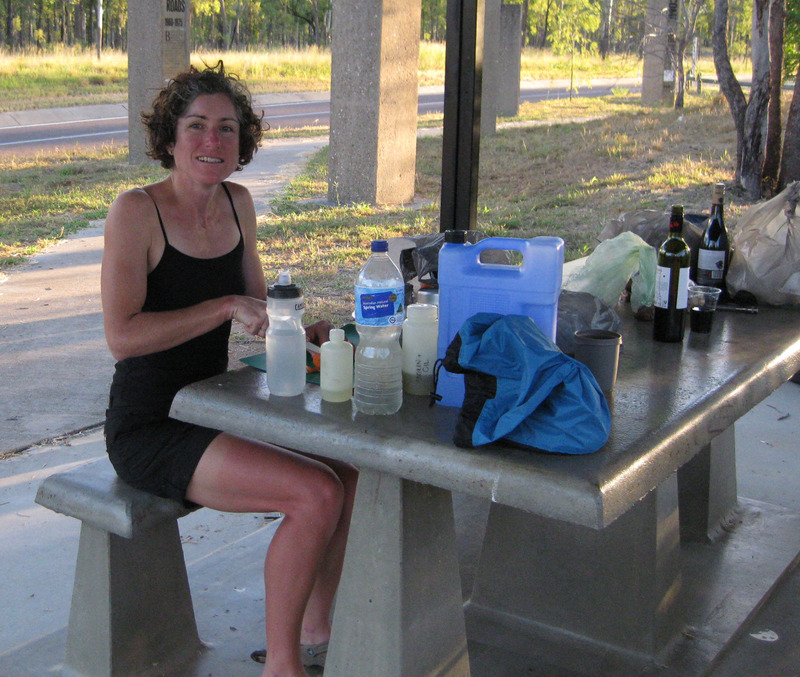 It was a long, hot day…we were excited to reach the Burdekin River about 10 kilometres from the campsite. 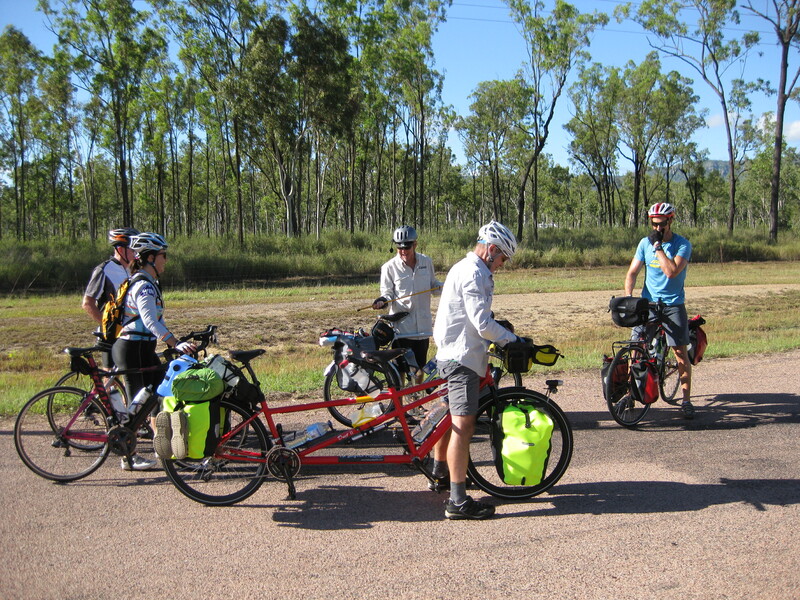 Everyone felt just a wee bit tired by the time we reached the campsite. 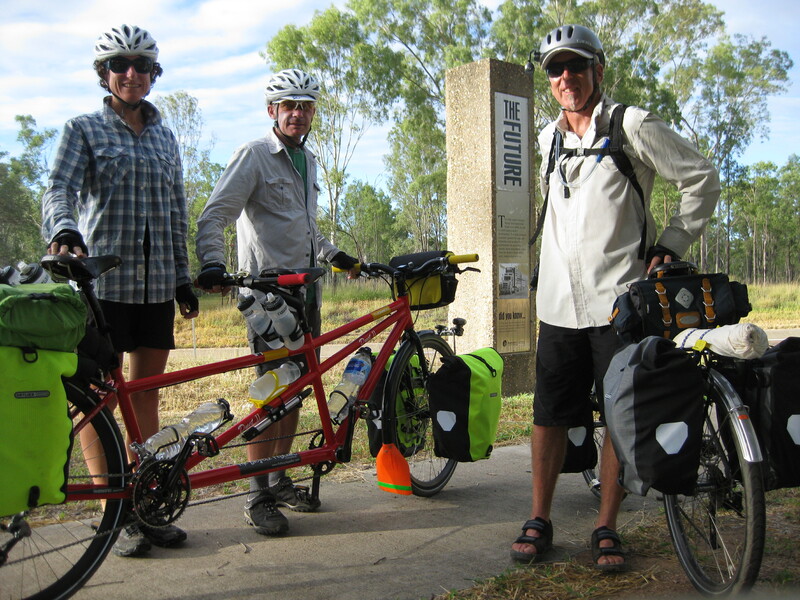 ← Touring season starts again!